A favorite indoor tabletop photography project. An especially fun way to experiment and play with lighting. Those are incredible seashells Tony, very gemlike. Lovely still life. Thanks very much, Gary. It's a fun tabletop project especially on rainy days! 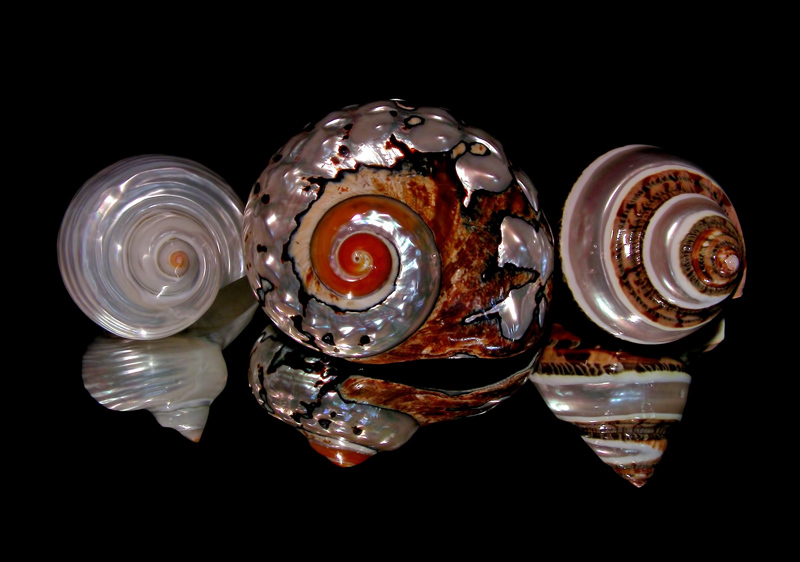 Nice light and reflections, pretty shells. Great colors, beautiful shells and nice reflection. Such a pretty way to present these-love the reflections.